This wonderful age of adventure and best friends, daring exploration and comforting familiarity, is one of the most memorable times for kids and rewarding fun for parents!Between the ages of 4 and 7 children are far more aware-of themselves as individuals and of their everyday environments-but magic is still present and believable (and needed. )This age group sees the wonder of rainbows. There is so much scope for entertaining children in this age bracket you might just have to hold more than one party...one for winter, one for summer...You are the ones who know your children’s likes and dislikes, their favourite hobbies and what inspires them. Try to plan their party around their personality and your pocket. Find out what local facilities are available, with relevant organised activities, or plan your own unique adventures. Birthday parties don’t have to be elaborate affairs. The most simple inexpensive ideas are often the most successful. 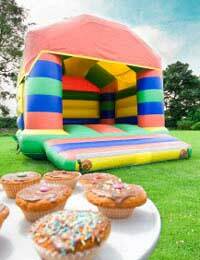 If your child likes to be active, and the weather permits, outside is the place to be!Commercial Party Venues-they do it, you pay for it. Simple. Often good value for money but not that original (you are aware that yours is one of many groups. )Garden Parties-tunnels, swings, slides, paddling pool, crazy golf, sand pit, organised games, hide and seek, treasure hunts...loads to do! If you live near a beach and can organise plenty of responsible adult supervision amongst friends and family, why not use it?Check the tides for your proposed party day and essential information like coastguard/emergency services, nearby parking, toilets and refreshments. When you send out invitations, ask all parents to provide named sunscreen, sun hats, beach shoes and towels for their children, as well as swimwear and a change of clothes. Make a treasure map, to be found by the birthday child only, with X marking the spot for buried treasure. Borrow/buy enough buckets and spades. Make sure you have sufficient windbreaks, umbrellas for shade, and comfortable things to sit on. Delegate your own adult team leaders to run separate games of beach cricket, volleyball, and footie. for each child and plenty of drinking water and squash. Treasure can be buried in a shallow hole by one of your helpers a few minutes before the childrenarrive. Mark the spot so you know where it is. This can be done in the garden, indoors (without digging holes, obviously) and just about anywhere. It’s up to you to prepare the adventure then allow the children to enjoy it.Don’t forget to consider the safety of children in your care at all times. Day trips to zoos, animal parks, adventure playgrounds, family farms, live entertainment appropriate to your child’s age and interests. Especially useful for busy parents and bad weather! Take your party group to the cinema and then for a meal afterwards, complete with birthday cake. Hassle free...Whatever you choose do plan as much as possible in advance. That way you can enjoy the magic too!